There’s no such thing as too much information at #MSIgnite. 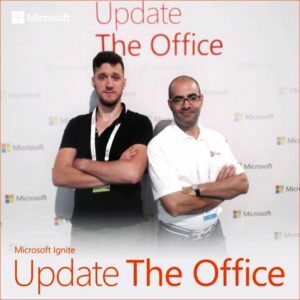 As the week-long conference celebrates its revamped business model & revisiting the surpassed, $100 billion in revenue – Microsoft as well, applauds their developers, customers, & partners. And by investing as early birds towards the intelligent cloud, it’s exciting to see what the next years are going to look like. Safe to say that the tech giant may be saving “some” best for last this week, but the FSi crew is on “no sleep” detail. 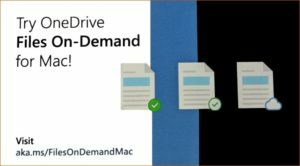 Try OneDrive’s, Files On-Demand for Mac – Access all your files without consuming device storage space! 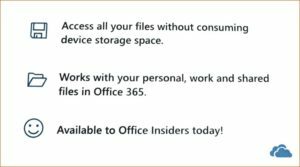 It works with your personal, work & shared files in Office 365. Once you’re up and running with Mac OS Mojave, you’re good to go! See preview here. Behold, Xbox ALL ACCESS! It’s simple, why not get on the subscription service train? All Access is a two-year plan that bundles a financed Xbox console with Live Gold & Game Pass. It’s just like buying a phone, & you’re actually saving about 20%! Stay tuned for more live tweets & other surprises! FSi Strategies, Inc. – powered by technology, driven by human experience.